Oats are highly digestible, palatable, often locally grown, and are typically less expensive than compounded all-in-one feeds. Whole oats are not as messy as sweet feeds, leaving cleaner feed buckets and minimal fly attraction. Feeding whole oats requires the horse to chew and salivate, helping maintain dental health, improve feed digestibility, and reduce the incidence of gastric ulcers. 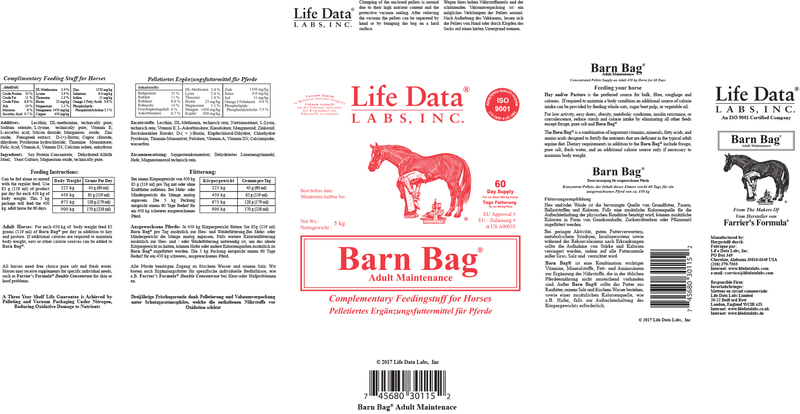 With Barn Bag®, most horses will consume less oats than a typical all-in-one feed, resulting in less waste clean up, reduced odor, fewer flies, and fewer trips to dispose of soiled bedding. The Barn Bag® Adult Maintenance Feed Concentrate will supply the nutrients required for efficient activity and performance without the nervousness associated with the poor quality protein and nutrients found in many other feeding programs. Additional benefits include improved feed efficiency and the assurance that nutrients are available for tissue recovery following injury. The Barn Bag® pellets are given at feeding time. The pellets, along with the grain, hay or pasture, provide the horse's daily requirement of nutrients excluding energy and salt. Caloric energy needs vary widely between individuals and activity levels. Calories are provided by feeding oats, and vegetable oil as needed. 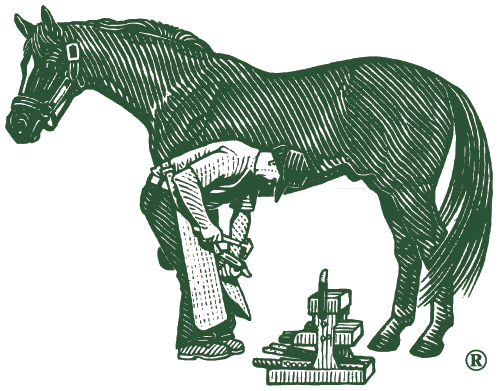 The horse also needs free choice loose salt (not mineral blocks) and fresh water. "Over-supplementation is a burden and a common problem facing the horse today"